Dating back to four thousand years, Judaism is one of the oldest religions on earth. It began as early as the 8th century BCE from the ancient land of eastern Canaan, now known as Israel-Palestine. Slowly but steadily Judaism became the main religion of Hebrews, who now forms the state of Israel. Today, around 14 million people are Jews, following the path showed by Judaism and another 3.5 billion people have based their belief on the principles of Judaism, which incorporates both the nation and the religion. During the holocaust of WWII, some 6 million Jews were murdered in Nazi occupied Europe, as they were thought sub-human and impure by Hitler’s armies. The Torah, also known as the Pentateuch (Five Books of Moses), is the supreme document of law, history and moral teachings. It comprises of the powerful Ten Commandments that God had revealed to Moses. Numerous other ethical guidelines and traditional laws can be found in the Torah. To begin with, the term ‘Jewish’ is used not as a religion but as a word to describe a race of culture. In fact, to support this statement, many Jewish may not even believe in the principles of Judaism. Jewish Faith and the relationship with God – Besides believing in one God, Jews share a deeper personal relationship with God. They believe that God works for its own people and have created the world. As per them, in exchange of God’s favour Jewish people need to bring sacredness and holiness in their way of living. Faith of a community – Serving the community is one of the most important aspects of Judaism. For example, you will find the words ‘We’ and ‘Our’ in Jewish religious texts, instead of ‘I’ and ‘Me’. Jews also share a close bond with the other Jews who live in distant places around the world. Judaism calls for living the Faith – Whatever a Jew do can be regarded as an act of worship. As Jews have made a bargain with god, they will try to do things to please their God. Judaism comprises of various rituals and practices, starting from Brit Milahs for boys and giving-name ceremonies for girls to Bar and Bat Mitzvahs, which is celebrated when the boys and girls enter their adulthood. Following these, marriages and divorces also involve diverse rituals and traditions in accordance to ancient culture and tradition. Simchat Bat is celebrated on the first Shabbat after the birth of a baby girl. The ritual is performed by Jewish practitioners at synagogues and it is also a great occasion to decide names of new baby girls. During the ceremony, the baby’s respective parents read some passages from the Torah and shower their blessings and love on their new-born daughter. Similar to the girls, the boys also go through similar ceremony but their ceremony takes places on the eighth day following their birth. Bar and Bat Mitzvahs are celebrated in honour of young boys and girls, when they take walk in to the adulthood. The boy or girl in question is expected to read a passage and blessing from the Torah and then they have to give a short speech. Dating back to 450 years, these traditions need to be followed in accordance with the typical Jewish culture and rituals. Simcha, also known as the marriage ceremony between the Jews includes ring exchange and a recitation from old Jewish texts. Divorces, on the other hand are fairly simple and devoid of much rituals. They need to be settled in rabbinical courts. Cremation and embalming is strictly prohibited in Jewish traditions. When a Jew is about to die or is seriously injured, he should be allowed to confess before a Jewish religious authority. Following that confession, further arrangements should be made. The focal point of Judaism is that there is a single God. When Judaism was born, monotheism was rare but with time monotheism grew at large. It is believed that god himself showed himself to Abraham, the ancestral representation of all Jewish people. According to Judaism, god almighty is continuously there to take care of its people (i.e. Hebrews, who will later change into Jews). Learning Torah Shiurim has become easy like never before. Various online sites can help you get acquainted with the Torah effectively and in the most promising ways. By opening websites, like kolhalashon.com, you will be able to live stream Shiurim from your home or workplace. You can also listen to lectures on women, children and family as a wide array of lectures and teaching audios and videos are found on these top websites on Torah Shiurim. Online Shiurim is efficient, fast and effective. Free lessons are anytime good, provided they offer you necessary information. The Torah, also known as Jewish Written Law comprises of five books of the Hebrew Bible. Basically, the Torah was written and compiled by Moses on Mount Sinai. As per the Jewish tradition, the Torah is the most sacred religious text found in Judaism. Websites, including torahanytime.com deals with a wide array of topics, starting from the history of Judaism to cultural texts and religious holidays. A comprehensive overview on Judaism will help people learn more about this particular religion. 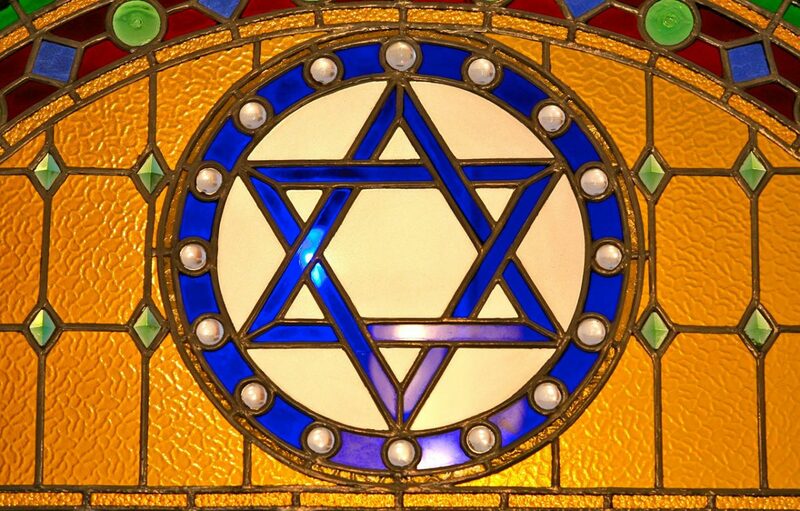 Such audios, videos and texts on Judaism principles will help you appreciate the Jewish religion. Whether you are a Jew or an individual who has keen interest on Judaism, gaining knowledge from such versatile sites on Torah Shiurim is an added advantage. It is always advisable to supplement your knowledge for better understanding of Judaism. Technology is ruling everyone’s life, in today’s world. And the boon of this digital revolution is widely recognisable among the Jewish literary scholars. The online websites are extremely helpful, especially when it involves the students and non-Jews. There are a wide number of people, who are not Jews, but have keen interest in understanding the concepts of Judaism. For them, sites like torahdownloads.com acts as a ray of hope. As these sites cover a vast array of topics, including history of Judaism, cultural significance, holidays and of course the Torah Shiurim, the importance of these sites is immense. These sites will also answer the queries from a lot of people who have limited knowledge about Judaism. The answers at times spread to detailed explanation, which helps you in getting better with the Torah. If you are tired of reading, you can listen to the Torah online through sites like mp3shiur.com. Such websites encourage you to learn Torah by downloading the mp3 files, besides live streaming. Live streaming may not be good option for you; hence you can anytime download the mp3 files, which are compatible with any device. Also, to delve deeper into the basics of Judaism, you can read countless blogs and articles that are published on urj.org (Union for Reform Judaism). Blogs, discussions and articles will help you gain better knowledge. For audio-video lectures, PDF files on Judaism and countless stories, you can also log into puretorah.com. Numerous lectures on life after death, dating and marriage, womanhood, Moshiach, Yom Tov & Holidays and parenting can be checked out for better understanding on Judaism.